Cascades of glittering gems and stones that dangle and sway, catching light and adding glamour to your special day. At Vrajlalas we aim to satisfy our most discerning clientele with our one of a kind earrings of varying lengths, sizes and designs with intricate details, suited to enhance any ensemble and any occasion. Bracelets are designed to draw the eye to the beauty and elegance of a woman's wrist and hands. A signature Vrajlal bracelet made using a plethora of gems, metals and stones, is a intricate and decorative accessory that can effortlessly and easily dress up any outfit. A Vrajlal ring is the embodiment of exquisite craftsmanship and artistic passion. From strikingly sophisticated large stone creations to the more delicate elegant pieces, we have a ring to celebrate the love, life and success of our every inspiring customer. 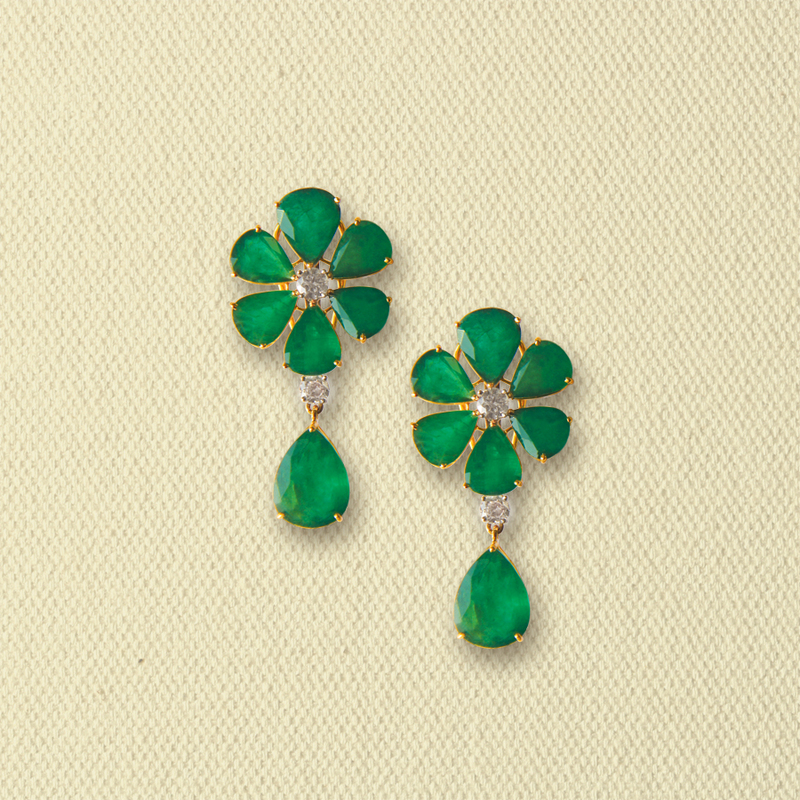 The name Vrajlals has been synonymous with fabulous jewels for three generations. At Vrajlalas each glittering piece is painstakingly created to compliment the personality of the wearer and their special occasion be it intimate or of a grand stature. Creating fine pieces of jewelry has been a consuming passion at Vrajlals through the generations. .